Former Senator and Parliamentary Secretary of cabinet office in charge of Economic and Fiscal Policy, Japan. Kotaro Tamura was in a position to advise directly to Premier as to fiscal policy and economic policy during his public service, Tamura was also chairman of Japan’s Ministry of Land, Infrastructure, Transport and Tourism. He was in charge of Official Development Aid program to emerging countries in Upper House. He was a senior fellow at Yale University, RAND Corporation and a research associate at Harvard University. efore entering politics, he was an investment banker and CEO of the Osaka Daily News, leading daily paper in the second largest city in Japan. He was also the largest shareholder of F-one, Kotaro’s family business, the largest supplier of custom-made business suits in Japan. With his initiative, F-one starts production in India from this year. Tamura serves as senior advisor to the China Europe International Business School and is an honorary associate at the National University of Singapore. He was a lecturer at Duke Law School and Keio Law School. Tamura received a bachelor’s degree at Waseda University, an M.B.A. from Keio University, a LLM from the Duke University School of Law, and master’s in economics from Yale. He also completed advanced management studies at the University of Oxford and Executive Management Program at University of Tokyo. Tamura received a bachelor’s degree at Waseda University, an M.B.A. from Keio University, a L.L.M from the Duke University School of Law, and master’s in economics from Yale. He also completed advanced management studies at the University of Oxford and Executive Management Program at University of Tokyo. He is the very first politician in Japan to become a leading character of Harvard Business School case. 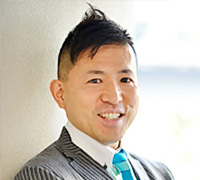 Kotaro is one of the best-selling book author in the category of globalization and business in Japan. He published more 10 books since 2012 and sold more than 250,000 copies.